I'm working on my craft (teaching) this summer by doing a book study with the Tools for Teaching Teens group. If you're just joining us, you can hop on over to Ellie's blog for ch.1, Brigid's for ch. 2, and Brittany's for ch. 3. You'll find quite a bit of overlap between chapters 3 and 4 because effective assessment and quality curriculum are inextricable. 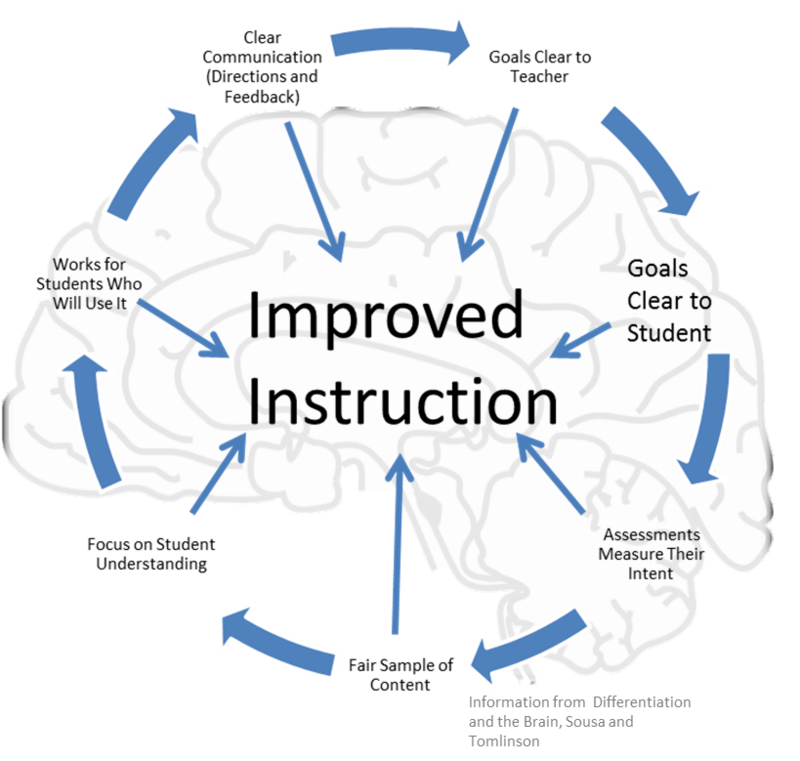 It makes sense--without clear goals, assessment creates stress (release of cortisol in the brain) which impedes results (and learning). Tomlinson and Sousa advocate beginning with meaningful goals that are clearly communicated to the student in the form of preassessment. The preassessment should be followed by meaningful feedback. That doesn't mean "Nice Job" or "D". That means, "Here is what was good about what you did--here is how you can improve." Teachers should then guide students toward improvement through formative assessment, offering choice along the way--portfolios, presentations, essays, short answer, etc.--and offering constant, constructive feedback. This will cause the student's brain to release dopamine (signaling reward), encouraging learning. 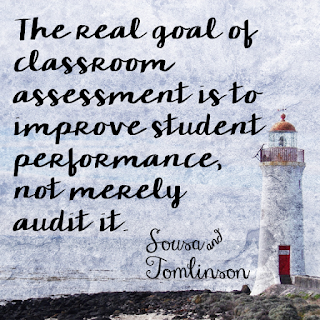 By the time summative assessment is upon the classroom, there should be no surprises (goals have been clarified and practiced from the outset). 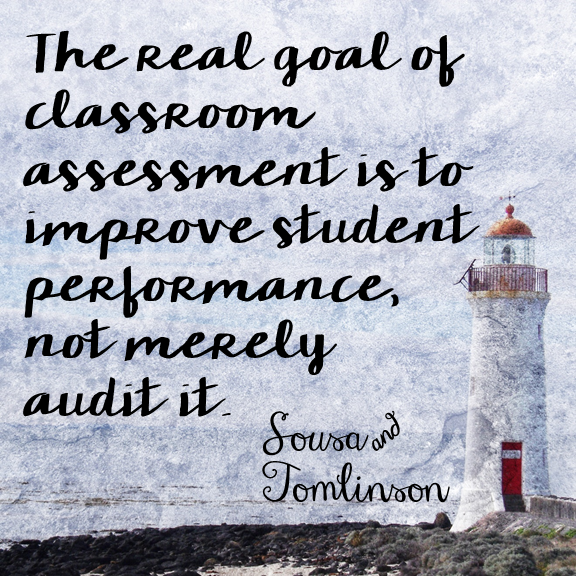 Tomlinson and Sousa note, however, that our typical methods of summative assessment (multiple-choice) are not the best way to go. Closed-ended questioning accesses only one point in the brain, making students more susceptible to stress (cortisol) and results more likely to be skewed. Since open-ended questions (short answer, essay...) access more areas of the brain, cortisol is less likely to impede each of these areas. They then warn of the dangers of acclimating young students to closed-ended questioning--it can impede their development as creative, abstract thinkers. The classroom that communicates clear goals and employs pre and formative assessment will naturally differentiate. The teacher, in assessing, will consider, "What is the best way for this student to achieve the desired outcome?" Modification will follow. 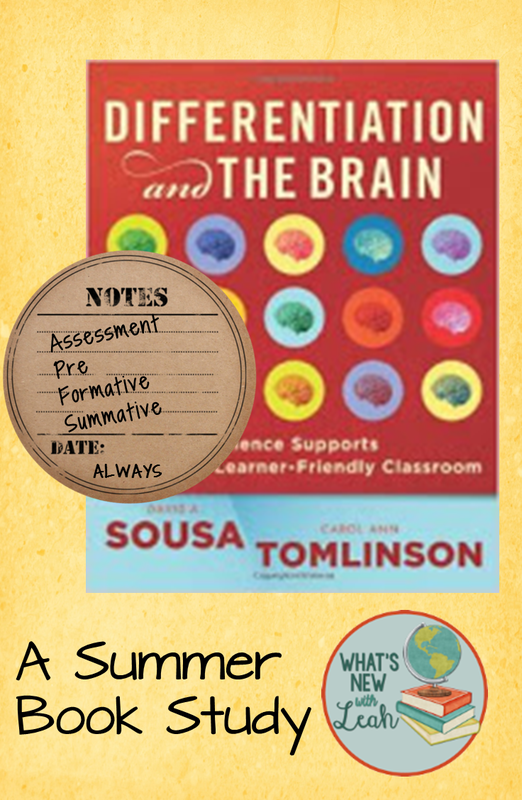 Tomlinson and Sousa say, "No," to grading pre and formative assessments and "Yes" to constant, quality feedback (geeze, they'd hate my Spring Survival Tip #4, though I think they'd approve that students got credit just for doing the assignment and my feedback was separate from a grade--that's what I'm taking from it, anyhow). These things are important to consider as we plan for next year. 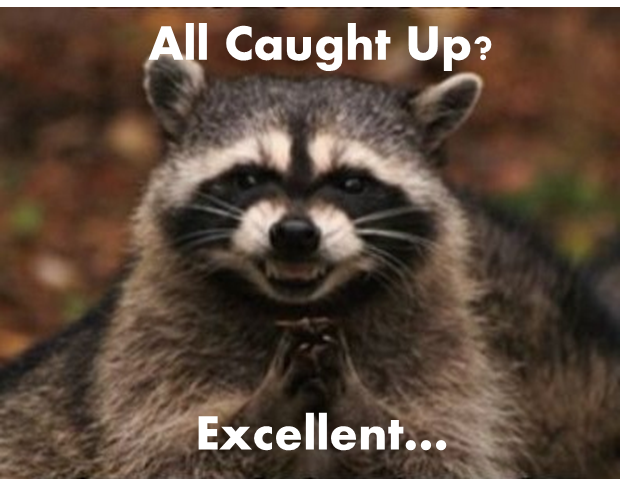 Hop on over and see what Andrea has to say about ch. 5! What are your thoughts on differentiation and assessment? How are you improving your craft this summer? Leave a comment below to let me know! Love the visual!! Thanks so much for summarizing it so clearly. Thanks, Brigid--I'm looking forward to the rest of the book!